Synopsis Attack and defense, that’s what fencing is, and so is life. Two university fencing team players are meant to be each other’s archenemy. Fung, who is talented but bad-tempered, lost his place to Pun in representing the university in the upcoming inter-school competition. He puts the blame on the fact that Pun was born to be the son of the past representative of Hong Kong fencing team, which is an advantage that he could never beat. While the other side of the story is, Pun is being pushed to the edge of nervous breakdown by his over-aggressive father who wants his son to complete his unfulfilled dream. Tse Hei-long Christy, Year 2 student of the College of International Education and a fencing team member of Hong Kong Baptist University. 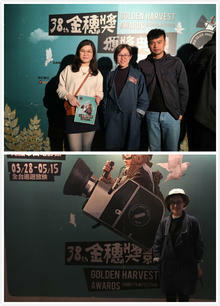 indeed a great honor for me to participate in the Golden Harvest Film Festival.